I have been quite lazy recently; maybe things are already taking a toll on me. I hardly opened my emails and I know I should have so I will not be so overwhelmed when I finally check my inbox but I was hard-headed. And after a few hours of sorting and marking, I am finally done! Gaa, if only these things can be left cluttered like that, I will just open my email once in a blue moon. If there is a good things about me opening my email, that would be the seat sale alert! I am checking where we can go next year for a little vacation. I am trying now to check the fares but I get stuck at the online sale option! This entry was posted in Personal, Travel/Airfare promo and tagged cheap getaway, seat sale, travel cheap on November 29, 2016 by Yami. The Northern Pike is a large, fresh water fish that can be found in many lakes of North America. Although they can be difficult to catch, this is not always true. If you know what you are doing, fishing for pike becomes easier. The following are a few tips to help you on your next northern pike fishing trip. 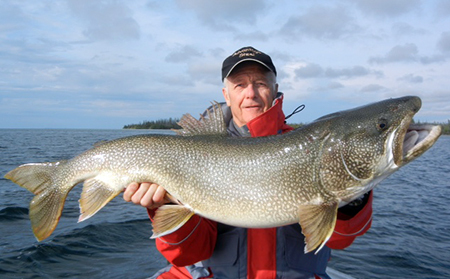 Pike are not very particular about what they eat, but the size of the bait is important. You are trying to catch a large fish, and they eat large fish. For this reason, you want a bait fish to be at least six inches long, but there is no reason to get much larger than this. It is not a case of the bigger the better, so perhaps eight or nine inches maximum. It is common for many local bait shops to not carry anything this large, so you may first need to fish for your bait. This may take you longer, but having the right bait will increase your chances of catching a large pike. Instead of using fish, you can try using a lure, but if you decide to do this, you need to choose a lure that approximates something that the northern pike is feeding off of in the particular lake you are fishing in. It is best to do your homework before you go to a lake for the first time, although a local bait shop should be helpful as well. It may appear that your bait is being nibbled at, but if it is a northern pike, the fish is most likely bumping it. They will do this before biting down on the bait. If you start to reel in the fish after you see the line move, you will likely lose the fish. Wait until the pike makes its run, so yo will know the fish has bitten down on the hook. At this point, you can begin to reel it in. The above tips should be helpful to you, but remember that each lake is different, so you need to take in the lay of the lake to select your first spot to fish. Northern pikes are an ambush predator and sometimes are lurking in the weeds of a lake, so you may want to start there. This entry was posted in Outdoor Activity, Recreation and Sports and tagged fishing, sport fishing on November 5, 2016 by Yami.